While I was doing a little research on YouTube I ran across a clip of a Shark Tank product from Season One I've been meaning to update for some time. Considering the Holidays are just around the corner and the Gift Card Business has mushroomed into a multi-billion dollar industry, I thought it would be interesting to see how far the Giftcard Rescue Business has come since appearing on the Shark Tank now over 4 years ago. 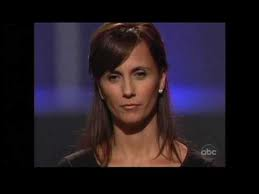 The Gift Card Rescue was featured on the 4th episode ever of this now Famous Business Reality TV Show when Kwami Kuadey came into the Shark Tank seeking $150k for a 30% equity stake in the Gift Card Trading Business. Kuadey was born in Ghana and moved to the United States to pursue his entrepreneurial dream, was struggling to get his new gift card exchange business off the ground when he decided to try out for this new Reality TV Show. He may have desperately needed an investment from the Sharks to take this business to the next level, but Kwami came well prepared and handled the negotiations like an old pro. For every negative that came up, he instantly had a positive response that ultimately leads to an offer more than what Kuadey was seeking. In the end Kevin O'Leary and Robert Herjevic both invested a combined $200,000.00 for a 50% equity stake in the Gift card rescue Business. The Giftcard Rescue Business model is quite simple and obviously profitable for all parties involved. Let's say you received a Gift Card for Christmas that still carries a balance but you would prefer to have cash or another Gift Card from another retailer instead. This company pays you 50-70% in cash which you would prefer anyway. Another person really wants to buy something from that same retailer who gladly buys that same gift card with at least a 10% discount resulting in instant savings. The float between the two figures is the profit made on all gift cards bought and sold at the GiftCard Rescue Exchange. As you can imagine with billions of dollars in unused gift cards just lying around, the competition for this type of "cash business" has become extremely high. By all accounts the Gift card Rescue Business has risen to the top and one of the most popular on the entire Internet. 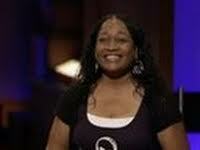 In fact they qualified in Inc. Magazines Top 500 Fastest Growing Companies in America for 2013. What seemed like a fantastic deal for both Robert Herjevic and Kevin O'Leary buying half this company for only $200k was indeed too good to be true. Between the taping of Kwami making an impressive appearance on the show, and when it actually aired, many things in the valuation and the deal was never completed. Sharks or no Sharks, Kuadey pressed on with all the free publicity his business received from the Shark Tank Show as well as several other News Organizations that helped propel Gift Card Rescue to the top of this lucrative and very liquid market. 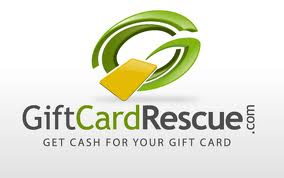 Last year in 2012 GiftCard Rescue bought, sold and traded over $6.5 million from over 450 Retail Stores to choose from. This year Kwami was quoted in The Business Journal that sales are expected to break $10 million which puts it in a class as one of the Most Successful Products seen on the Shark Tank Show in terms of revenue. Congratulations Kwami on your Success with making the American Dream a Reality! I wouldn't call them a "success". 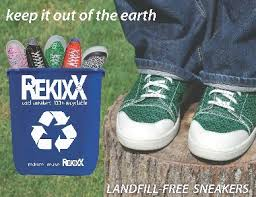 They just went out of business and scammed hundreds of people. Just take a look at their reviews. I'm owed over $100 on a gift card I bought and instantly had a $0 balance. I spent many hours jumping through their hoops over the last 2 months to get a refund. Eventually, no communication and now I see they're closed. REALLY APPRECIATE THAT KWAMI. LIVE A WONDERFUL LIFE! Filing a claim now with credit card company and they'll have to eat it so Kwami gets out of it still.